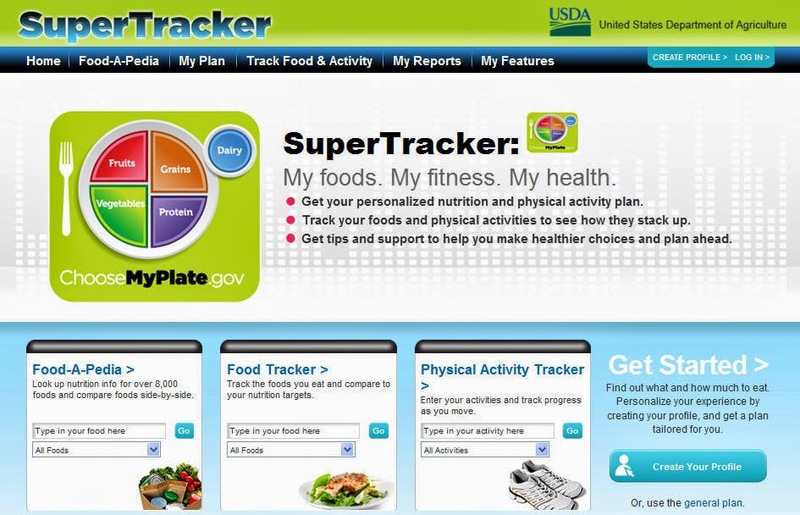 I just learned about SuperTracker, a free online food and physical activity tracker developed by the US Department of Agriculture (USDA), which allows you to plan, analyze, and track your food intake, your weight, and your physical activity. It's actually been around for over a year (I'm really behind the curve here!) and has registered over 2,500,000 users. You don't need to register to just check food nutrition information or calories burned by a particular workout, but you do if you want it to remember your history and track your progress over time. Fair enough. 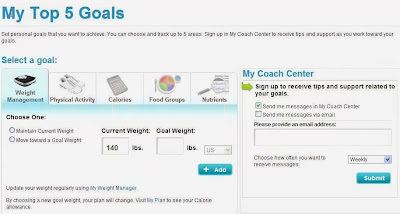 Once you sign up, you add a brief profile containing your height, weight, age and your daily physical activity level, all of which is used to determine your suggested calorie limits. 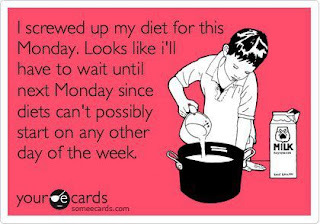 Then you can start adding in foods eaten and exercise completed. No cheating. 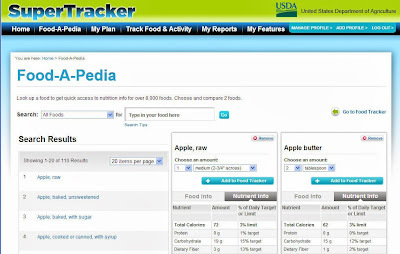 For the food tracker, for instance, you add in each of the foods and amounts you ate for each meal. You can be specific: frozen vs fresh peas, coffee vs blueberry yogurt, Grape-Nut flakes vs original nuggets, Dairy Queen vs McDonalds milkshakes. You can then evaluate the calories and nutrition content of what you've been eating using the extensive USDA dietary guidelines that are put out each year. In case you were curious, 1 cup of spinach has 7 calories, while 1 small scoop of premium non-chocolate ice cream has 122. Sigh. 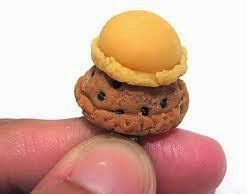 Related to this is the rather cool Food-A-Pedia information source. In it, you can look up the nutritional content of over 8,000 foods, based on USDA analyses, not manufacturers' descriptions. You can select categories of food (breads, fruits, veggies, dairy, condiments & sauces, fast foods, snacks, etc) or a specific food. If you type in "apple", you 110 options, including raw, baked (with or without sugar), stewed, dried, fried, candied, applesauce, apple butter, apple juice, various apple salads, and even Apple Jacks. Within each, you can pick various serving sizes and see the number of calories, fats, sugars, sodium, as well as a very extensive nutrient information list. Weight Watchers has a similar system (though not free) with a database that may have even more options but less detailed nutritional information. For the physical activity tracker, anyone who works out hard regularly will feel like a champion. I just added in my workouts for 3 days - two runs of 57 and 62 minutes each and one circuit training of 30 minutes hard and 20 minutes easier, low-impact - and have already exceeded the recommended 150-299 minutes of Moderate Intensity Equivalent (MIE) Minutes of exercise. Apparently, for under-exercising America, "Every minute of vigorous activity counts as 2 minutes of moderate activity", and each of my workouts were all considered "vigorous". At least they felt that way to me too! 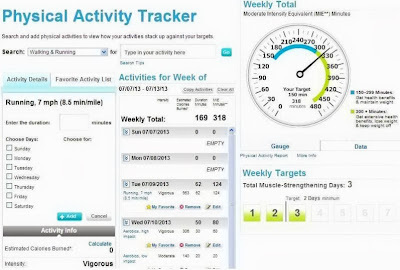 The SuperTracker Physical Activity page - add in each workout, and it totals them up. While obviously not a personal trainer, the site uses your inputs and its nutritional information to customize nutrition and activity guidance: it allows you to set goals for weight, diet, intake of specific foods or nutrients, and activity, keep a journal, and generate reports for specific time periods (that you can export to PDF, MS Excel or MS Word) to monitor your progress. 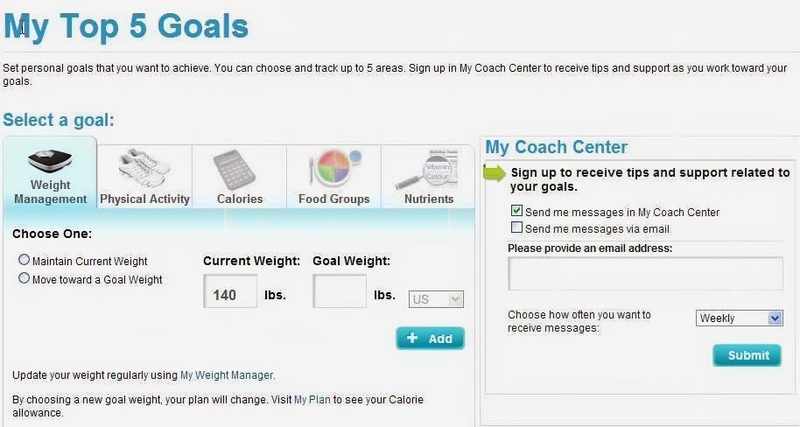 It even has a Coach that will send you messages either on the site or by email to help you meet the goals you've set. 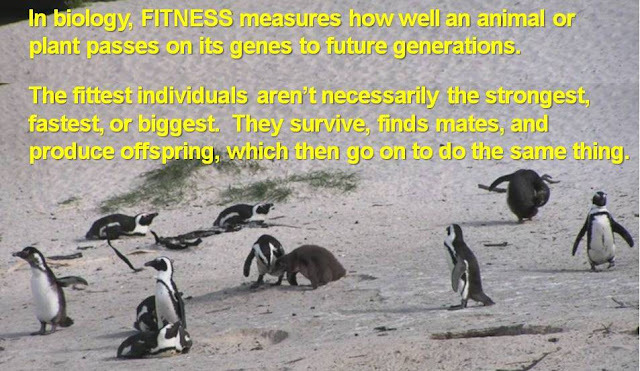 The site looks nice and is easy to use, though it was less intuitive to figure out how to quickly enter certain physical activities for several different days. It's actually easy: once you have added a workout in a given week, you can just add the next one for the correct day, and the tracker just fills it in and adds to your cumulative workout time. You can also remove or edit your entry if you need to change it. 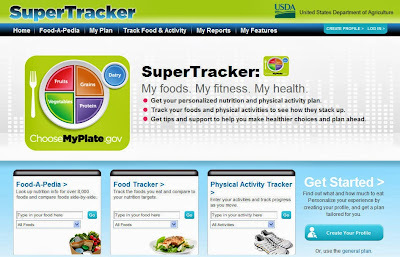 The SuperTracker is available at SuperTracker.usda.gov. 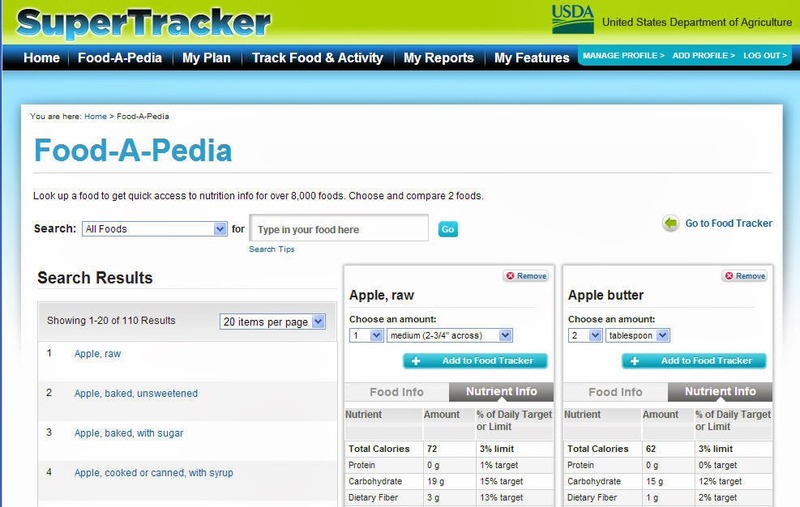 Unfortunately, there is no mobile app yet that you can take to the supermarket, but the nutritionist behind the tracker says they are working on it. I've been tracking my food intake and activity on paper for awhile now, so will be giving this a try! Anyone have recommendations for this or other fitness trackers? Great to hear and hope this or other tracker help your progress! A blog that mushroomed from visual edification. Articulately written and well figured out. Facial hair: hot or not?